For those with large designs to print, the 40 x 50cms coated heat plate on this Master Auto Clam 50 heat press machine is perfect. Create your unique design onto t-shirts, football shirts, hoodies, bags and an endless variety of textiles and other substrates. The Heat Press Machine can be used for transferring vinyl, sublimation prints and screen printed products. It has an opening angle of 50 degrees and will accommodate articles of up to 20mm thick. 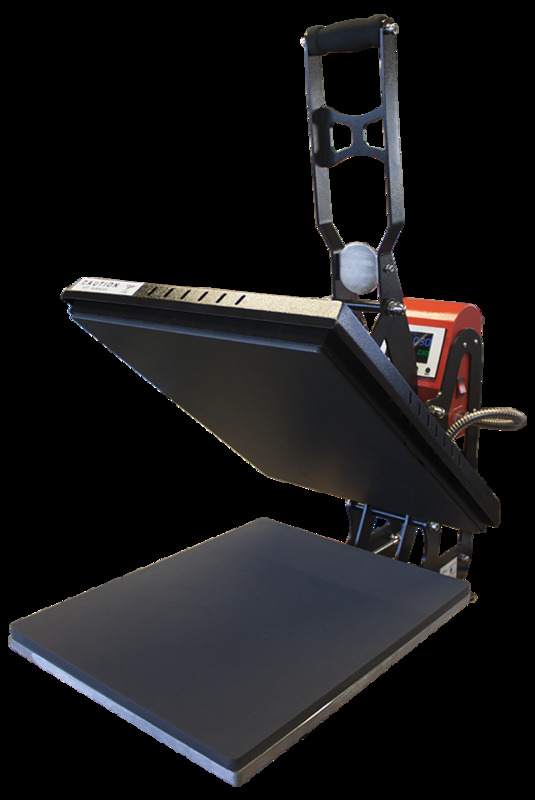 The heat press machine has a digital controller for regulating the time and temperature and has a simple, easy to use pressure adjustment handle. The press is also fitted with an electro magnet, which means it will automatically open when the set time is reached – perfect for busy people! There is also the added benefit of “Gas Spring Control” which means the machine will open automatically in a smooth and controlled way .